The Christ Apostolic Church has reportedly expelled the randy pastor, who was accused of impregnating a church member. 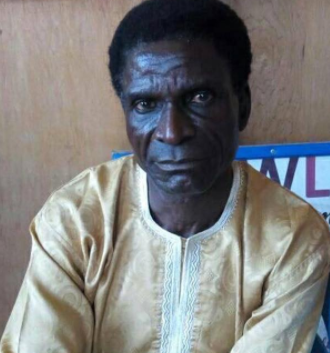 Pastor Michael Olakunle, who headed a branch of the CAC in Iju town in the Akure North Local Government Area of Ondo State, was alleged to be having sexual relationship with one of his members, Mrs. Omotola Akerele in the mission house. A member of the board of the church who preferred to be anonymous told Punch that the church had already expelled Pastor Mathew following the ugly incident. He said the incumbent General Overseer of the church, Pastor Paul Obadare would address the issue soon. Immediately after the incident occurred and the church knew about it, he (Mathew) was transferred out of the town to our church in Ilorin, but I want to confirm to you that he has been expelled. The leader of the church, Pastor Paul Obadare is not around now and I am sure he would have been informed about the incident, when he comes around, then he will address the press to tell the world about the step the church had taken on the matter. But I am sure the pastor has been expelled.